Roseanne Barr Bio, Spouse or Husband and Children, How Old is She? Home Celebrities Roseanne Barr Bio, Spouse or Husband and Children, How Old is She? Roseanne Barr is America’s sharp-witted, domestic goddess who has a hunch for throwing her audience into a hilarious state of laughter. Ever since she joined the comedy world, she has made everyone realize that blue collar jobs are not limited to the environs of an office but are also very much available in the entertainment world. She started as a standup comedian and then turned television star, author and a politician. She is also noted for her pitiable childhood and teen memories. Twenty years and counting the show, Rosanne which brought her to the limelight is still noted as one of America’s favorite television sitcom. Let’s meet the drama queen. Roseanne Barr’s Bio – How Old is She? Roseanne was born as Roseanne Cherrie Barr on November 3, 1952, in Salt Lake City, Utah. Her childhood experience was more like nightmares; she publicly claimed that she was abused by her parents when she was a child leading to her moving out of their home in disguise when she was 18. Her dad and mom, Jerry and Helen Barr totally denied her claims, telling the world they were the best parents any child could have asked for. The comedian was born as the eldest of four children- Geraldine, Stephanie, and Ben. Her sister, Geraldine is a lesbian and her brother, Ben, is gay. A year before the comedian got estranged from her family, she had a baby who was later put up for adoption. At the age of three, Roseanne Barr was diagnosed with Bells Palsy and when she was sixteen, she was involved in a ghastly motor accident that almost took her life. Two years after the accident, 18-year-old Roseanne left her home and moved to Colorado. There, she got a job as a waitress and was the favorite of a lot of customers because of her witty nature. It was with that a customer who thought she would do well in comedy sold the idea to her. After a thoughtful consideration, she decided to give it a shot and started performing at local clubs at the same time perfecting her skills. After emerging as the champion for the Denver Laff-off Contest in 1983, she left Colorado to Los Angeles where she was an instant hit. In 1988, she started her very first HBO special named The Roseanne Barr Show, which announced her as the Funniest Female Performer in a TV Special. Four years down the lane, Marcy Carsey and Tom Werner the executive producers of The Cosby Show employed her to write their show No Perks Family Comedy. Despite the fact that she was an amateur as of that time, Roseanne Barr pulled up an outstanding performance in the show and was also paid $40 million at the end of the final season making her the second highest paid woman in show business at that time following Oprah Winfrey who topped as the first. 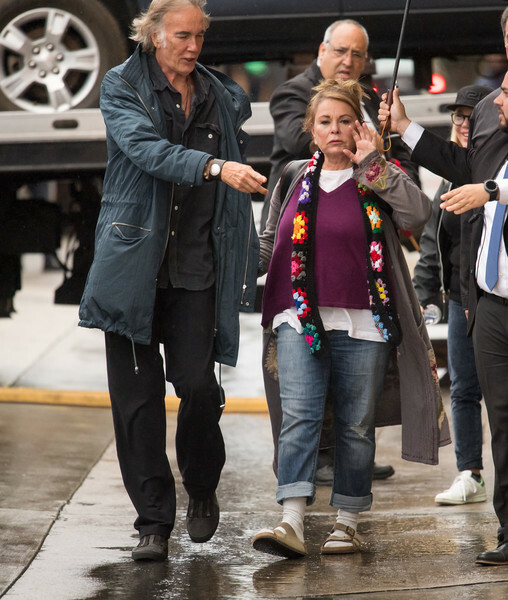 Unarguably, the television sitcom, Roseanne is the project for which Roseanne Barr became one of the famous television personality ever, but of a certain, the sitcom isn’t the only platform she starred in. Following the grand finale of the show, she announced her own show titled, The Roseanne Show. However, the show didn’t do well and was cancelled because of poor ratings in 2000. Refusing to give up, she remolded and repackaged the show with a new name, The Real Roseanne Show, three years later but that didn’t sell either as it was canceled merely two days after it was premiered. 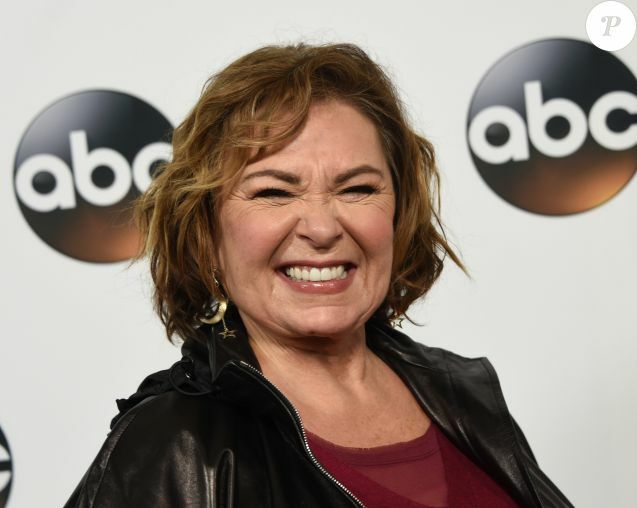 The comedian decided to spice up the supposed canceled show and returned with the name Roseanne’s Nuts but like her first two attempts, the show was canceled the same year it was premiered. In the year 2012, the show came back as the Comedy Central Roast of Roseanne and yet failed again. That same year, the comedian declared her intents of joining politics and later ran for the presidency under the Peace and Freedom Party, however, she failed at the polls and decided not to run again. Roseanne Barr may be perfect on the screens but she is far from the typical housewife. After divorcing her first husband, Bill Pentland, a man she married on February 4, 1974, she went ahead to tie the knots with Tom Arnold in January 1990, exactly four days after her divorce with her ex-husband. Her union with Tom received the highest criticism from fans and failed after three years despite being described as magical. Then she fell in love with her personal bodyguard, Ben Thomas. They walked down the aisle in 2002 but got divorced just a few months after. Roseanne Barr finally met Johnny Argent with whom she has decided to spend forever with. The two is yet to be married but are said to be living together. The comedian shares three children with her first husband, Pentland — Jessica, Jenny, and Jake — and one son, Buck, with her second husband, Thomas. Roseanne Barr is also the mother of Brandi Brown, the baby she gave up for adoption when she was 17.